South Africans of all races have reason to celebrate the life of the country’s first post-apartheid president. 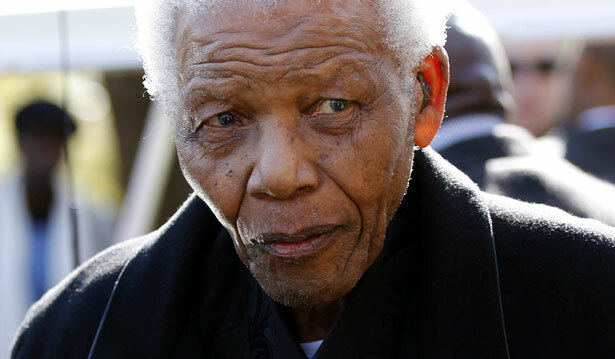 And so it was that, even in the eyes of those who made a living peddling fear, less than a decade after his release from prison, Mandela had been transformed from terrorist boogeyman to national savior. White South Africa has come to embrace him in much the same way that most white Americans came to accept Martin Luther King Jr.: grudgingly and gratefully, retrospectively, selectively, without grace but with considerable guile. By the time they realized that their dislike of him was spent and futile, he had created a world in which admiring him was in their own self-interest. Because, in short, they had no choice. In 1966, nearly twice as many Americans had an unfavorable view of King as a favorable one. Only after he was assassinated—arguably only because he was assassinated—did the country begin to appreciate that his efforts, along with the broader civil rights movement, had spared it the ignominy of being the last to rid itself of legally sanctioned racism. It took about thirty years for the mud that had been slung at King to be cleaned off and his legacy polished to the gleam befitting a national treasure. By 1999, a Gallup poll revealed that only Mother Teresa was a more admired public figure in the twentieth century. In 2011, 91 percent of Americans (including 89 percent of whites) approved of a memorial to King being placed on the National Mall. Despite the apartheid regime’s best efforts, it did not manage to kill Mandela or break his spirit. In frail health as I write, he has not only outlived most of his international detractors—including Margaret Thatcher and Ronald Reagan; he has outclassed them in his pursuit of a peaceful transition and an embrace of inclusive democracy. To cite just one example, South Africa’s Constitution, promulgated by Mandela in 1996, was the first in the world to outlaw discrimination based on sexual orientation. Yet one should not sanctify Mandela, for two reasons. First, to make him a saint is to extract him from the realm of politics and elevate him to the level of deity. And as long as he resides there, his legacy cannot be fully debated or discussed, because his record is then rooted not in his role as the head of a movement, but in the beatified soul of a man and his conscience. Second, to make him a saint is to render all who come after him a devil. Thabo Mbeki and Jacob Zuma, the presidents who followed him, would then be judged not by the standards of other leaders in the region or globally (and for all their faults, compared with Silvio Berlusconi, Vladimir Putin or George W. Bush, to name a few, they come off well), but by the unattainable level of a canonized myth. Similarly, it would be a mistake to look at the inequities of post-apartheid South Africa and argue, as some on the left have done, that nothing much has changed. One need not be in denial about how bad things still are to recall how bad things might have been. It was at the time when the Soviet Union was collapsing and capitalism was at its most triumphant that Mandela emerged from prison, charged with leading a developing nation under racial dictatorship and at war with itself. The year he was elected, Afrikaners set off car bombs, and the African National Congress engaged in a bloody shootout with the Inkatha Freedom Party in central Johannesburg that left many dead. Given the centuries it took to entrench the nation’s racial inequalities, it is not reasonable to have expected him, or the government he led, to eliminate them in short order. Last year, Mark Gevisser wrote about the Marikana wildcat miners' strike in South Africa and the ANC's transition from a liberation movement to institutionalized political party.